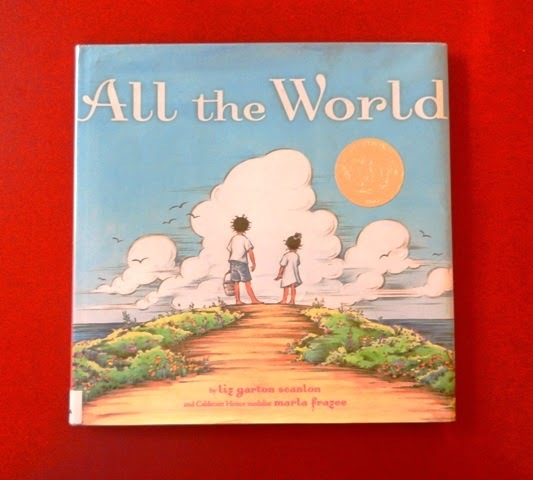 Summary: This wonderful book follows a circle of human families of all kinds throughout a day of outside activities. When rain comes, the families come together in another family’s restaurant. They share songs and sweet good nights. Each beautiful double page spread emphasizes our connections with the natural world and other humans. Hanna’s Comments: This book is like looking at the night sky. You feel as if you are a small but significant piece of humanity in the beautiful masterwork of the natural world. The meter of the poetry allows for slow reading and the pages are big on most versions so help your audience catch the details in these fabulous illustrations. Finding the blessings of connections, just like I do in Picture Book Theology, seems to be the theme of this picture book, one of my all-time favorites. Idea(s) for Application: Read this book during a lesson on finding the holy in the ordinary or how we are all connected.